I hope all of my readers had a wonderful Christmas Holiday/break. This year, I decided, no countdown to Christmas, and well, even posting this past month. Time, family, and crazy life obligations took over, and I just had to go with it. It doesn’t mean I won’t revisit it next year, but maybe it’s time for a revamp of the favorite December posts. Now, back to my days of blogging. I’ve missed it. In upcoming posts, I will be sharing with you all kinds of fun things that happened in the last few weeks, months. Today’s post is of my Holiday Stamp Camp. Because I went on Family Celebration/Vacation/Convention during the week that I usually hold my event, my class came early. I’ll be honest; I prefer my Holiday Stamp Camp in November. It’s hard to get others motivated and into the Holiday spirit, the weekend of Halloween! I will say, those that made it, made me very happy and they had a great time. I know this because people have sent me cards and notes of gratitude. I’m glad my kinda Joy makes you happy. My guests had fun, learned a few things, ate specially ordered Holiday Cookies, and shopped. Time for a few pictures as well as the cards we made. Enjoy! This one opened up into a gift card holder. I also made this a SUDSOL swap for Convention. I found out later it was card fronts. I’m sure they didn’t mind the over the top card. I know I had six cards, but for the life of me, I can’t find the sample. It’s just gone. I gave the Holiday ornament that everyone made to a guest who paid and was unable to attend. Once again, Lake Geneva Comfort Suites came through for me. My Display counter of Halloween to Christmas. 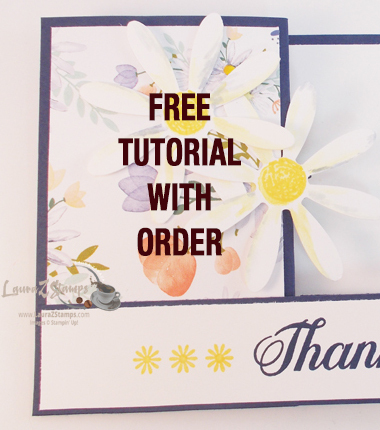 I also showed Paper Pumpkin and our newest card kits. Ham, Turkey and Roast Beef Sandwiches, Corn Salsa, chips, and pretzel snacks, water and of course coffee. Next to the projects-the cookies were a Huge hit. And the Chocolate Truffle cake from Walmart. Yeah, my guests were full by the time they left. I thank all of my customers that attended my early Holiday Stamp Camp 2018. In just a few days, the Occasions Catalog and SALE-A-BRATION-Stampin’ Up!’s Biggest Sale, will be happening. 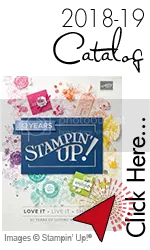 If you did not receive one or the other catalogs, or you are new to Stampin’ Up!, contact me, and I can get them out this week. Lot’s to share with you in the New Year. And with that, I say Goodbye to 2018. I’m looking forward to 2019. See you there.